The culture yard – Centre for knowledge, creativity and new experiences, is part of a large cultural area in North Zealand. With The Sound as a backdrop, Kronborg Castle in plain sight, beside M/S Maritime Museum of Denmark and the old city of Elsinore, The Culture Yard is a cultural centre brimming with life and activities. It’s a place packed with history – both in its status as a modern culture house built on a traditional shipyard, and also quite literally, inside its large, extensive library. Besides The Library The Culture Yard holds two auditoriums, conference and exhibition facilities, The Shipyard Museum and a restaurant. In the architecture the past meets the present. From the outside, the sail-inspired façade made of glass, steel and climate screens creates an impression both modern and sculptural. Inside, a historical core has been preserved in the old shipyard buildings. Old and new melt together into an architectural composite of raw concrete walls and oak floors, open ceiling beans and striking window setting. The balconies facing the harbor, the terrace with a view of Kronborg Castle, and the reading nooks set out towards the sea, all inspire nature reflection and calm, making any visit here an experience. The building was designed by Aart architects, and is in itself worthy of a visit. In the heart of The Culture Yard is the library, a modern multimedia centre, designed around the concept of urban spaces. Books and other media are located in different districts. The intersections between districts serve as meeting, assembling and exhibition spaces, and provide a setting for everything from author appearances and poetry evenings to film and book club events. The Children’s Library is an open landscape of worlds where you can set out on adventures of creative expression. In The Bay a lighthouse is showing the way where one might meet The Panzer Cod with its portholes and periscopes…, and in The Cave there’s the opportunity to play and perform. On the rock one can overview it all. Activities and activity spaces can be found on the different floors – with computer rooms, study facilities and game rooms, as well as corners for reading and relaxing. A yardful of knowledge – adventures all the way, is what the library gives. Whether one likes to discover historical archives or create stories by oneself, the library makes it all possible. From creative workshops to genealogy experts and local historians enhancing experiences all around. 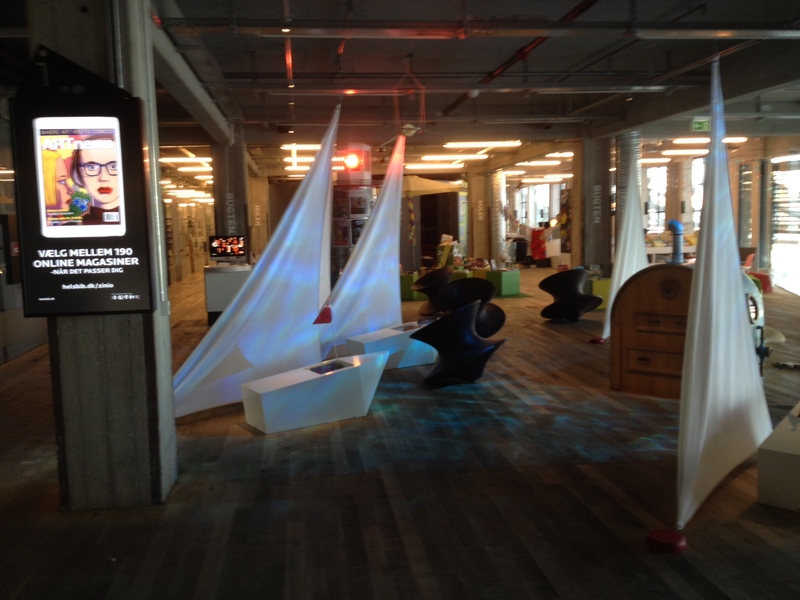 On the first floor there are play-spaces, workshops and game rooms for the young ones. 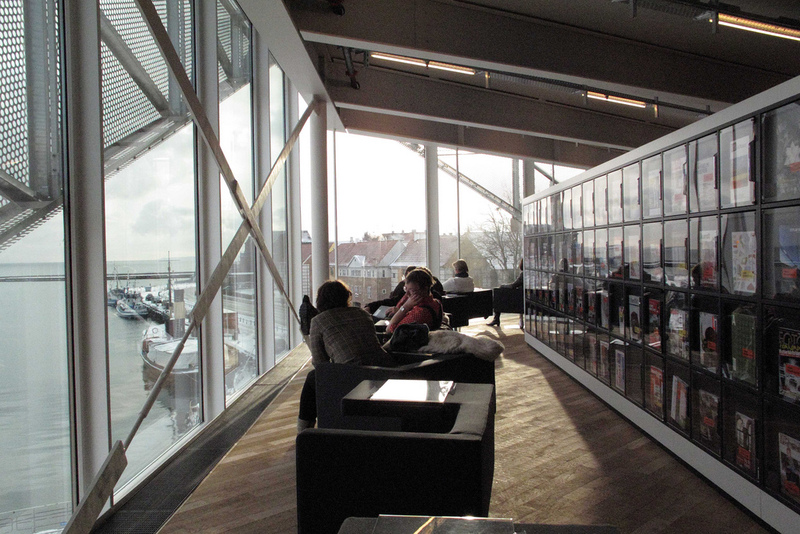 The second floor is fiction, music, film and games for all ages and a large area for self-performance; and the top floor houses non-fiction, newspapers and periodicals with the best view for Kronborg Castle and the harbor. 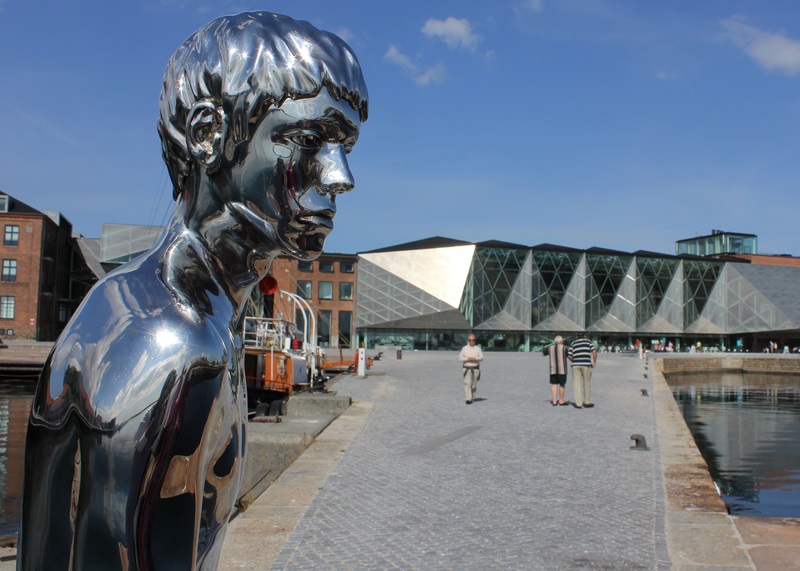 At the harbor the sculpture HAN, from internationally recognizes art duo Elmgreen & Dragset, makes references to both Elsinore’s past and to HAN’s famous big sister at Langelinie in Copenhagen.